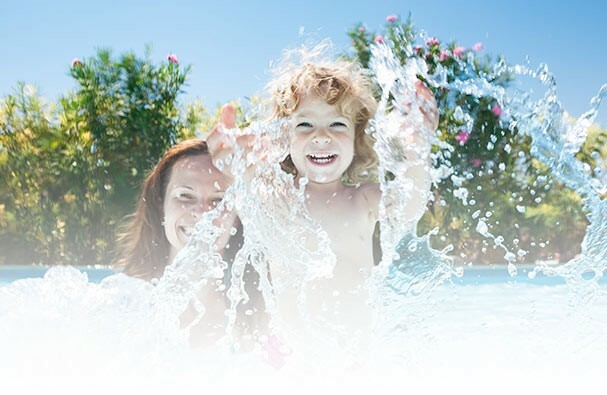 Fiberglass swimming pools are the ideal in-ground swimming pool because of their installation savings, strength, aesthetic design, durable finish, ease of maintenance, and predictability. Because fiberglass swimming pools are prebuilt, manufacturers can guarantee product quality and consistency. This means that the pool you will get in your backyard will be exactly what you ordered. It also means that the installation will not be held up by inclement weather conditions. The pool shell will arrive pre-formed, complete, and weatherproof. Fiberglass in-ground pools can flex without cracking to accommodate for earth movement. This fantastic shell strength is complemented by the strongest, most reliable interior finish, a gelcoat finish that is a marine quality, impervious pigmented surface. The gelcoat finish never needs painting or vinyl replacements. Its surface cleans easily, resists stains, and requires fewer chemicals. Fiberglass pools are compatible with salt water, making them the most versatile choice for an in-ground pool. You can undertake this pool as full or partial do-it–yourself project or as a total turnkey project.